Circuit breakers are some of the most important devices in the electrical outfitting of a home, and it’s important that every homeowner take the opportunity to learn what they are, how they function, and how to use them in the event of an emergency. Understanding circuit breakers is the key to understanding how much of an electrical load each part of your home can take. This will help you learn when a certain amount of electricity is too much, and what you can do to take control of the situation before it turns into something dangerous. 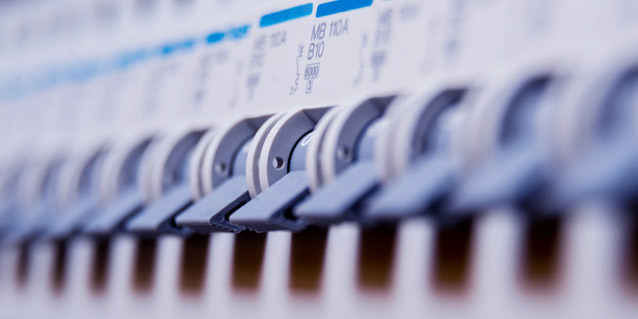 If your power keeps shutting off in different parts of your home, and you aren’t sure why, it’s likely because your circuit breakers keep tripping. This article will explain everything you need to know about circuit breakers and power failure Singapore so you can understand when it’s okay to handle an electrical situation yourself, or when you might want to call in the professionals. What Exactly is a Circuit Breaker? A circuit breaker is defined as an automatic device that stops the flow of electrical current in a circuit as a safety measure. It is the device that will shut off your electricity if it senses that there is too big of a current to handle. In order to prevent a power surge, electrocution, or electrical fire, a circuit breaker will “trip” in order to turn off that specific electrical current. Each residence, house, apartment, and living space comes with a circuit breaker box, which is an electrical panel box divided into circuit. Each circuit powers a different area of the home, which is usually labeled on each circuit breaker. The circuit breakers are the switches that act as safety measures to protect each individual circuit. If a circuit takes on more electrical power than it can handle, the circuit breaker will automatically flip the switch to an “off” position, effectively shutting off the electricity in the home. An overloaded circuit often causes too much heat, which is one of the triggers that the circuit breaker can sense. It will always act as an intermediary to shut off your electricity as quickly as possible. Why Did Your Circuit Breaker Flip? Consider this scenario: You are making a cup of coffee using your new coffee maker in the morning. You are also cooking bagels in the toaster. You also have the microwave running, heating up a bowl of oatmeal. Running all of these electrical devices and appliances at once might have overloaded that particular circuit for your kitchen. Your circuit breaker notices this and immediately shuts off the power to that area. With your cup of coffee only halfway made, you immediately shuffle to your breaker box to assess the situation. You notice that the circuit breaker labeled “Kitchen” has been flipped like a switch. All of the other circuit breaker switches are facing one way, but this one is facing the other. This lets you know that it is turned “off”. Making sure that your appliances in that area are already unplugged, you can flip the circuit breaker back to the “on” position and close your breaker box. When you return to the kitchen, you may happily notice that your electricity is turned back on and your devices are working as normal. However, you may want to plug that new coffee machine in somewhere else so you don’t overload the system again. If one or more of your circuit breakers continuously trips and switches off, there may be more than just a problem of an electrical overload. While a common reason for a circuit breaker tripping is due to having too many items plugged in at once, there could be a more serious electrical issue at stake. The best thing to do in this situation is to get ahold of a certified electrician. A professional can more deeply examine your circuit breakers and figure out the underlying cause behind why your electricity keeps shutting itself off.